Bard High School Early College, New Orleans, La. St. Francis College, Brooklyn, N.Y.
Charles W. Baker High School, Baldwinsville, N. Y.
Pattonville Sr High School, Maryland Heights, Mo. Tennessee State University, Nashville, Tenn. Granite Bay High School, Granite Bay, Calif.
To celebrate the one-year anniversary of the Counselor Community and to help promote community building toward college access, Hobsons announced the scholarship program in April 2018. Each month since, Hobsons has selected a representative from one higher education institution and one high school to receive the $1,000 scholarship. Hobsons launched the Counselor Community in 2017 to create a space where high school and college admissions counselors can connect, strengthen relationships and work together to help students find best-fit college options. For more information on the scholarship competition, please visit: www.hobsons.com/content/counselor-community-scholarship. A leader in education technology, Hobsons helps students to identify their strengths, explore careers, match to best-fit educational opportunities, create academic plans, and reach their education and life goals. 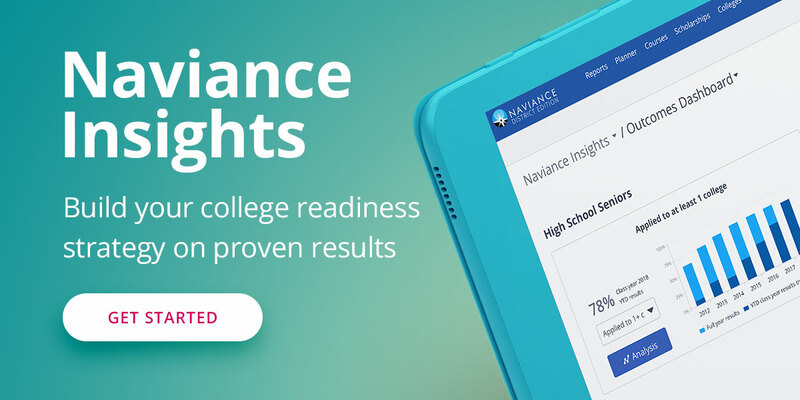 More than 13,000 K-12 and higher education institutions partner with Hobsons and leverage our expertise and our solutions -- Naviance, Intersect, and Starfish -- to improve college and career readiness, college recruiting and admissions, and higher education student success to support millions of students.